Manufacturers of all Industrial and Domestic Ladders, M.S.Trolley and Fabrication that are made from tough quality aluminium. 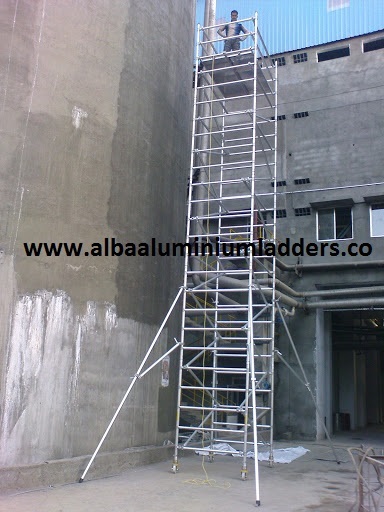 These ladders are available in a variety of designs and sizes. 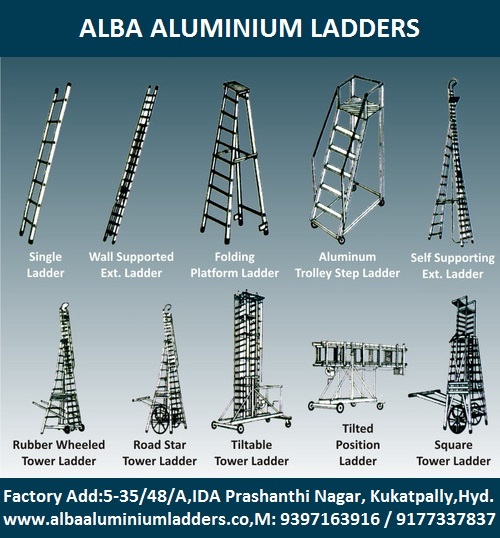 Aluminum ladder Tilt Table Tower extension ladder Wall support ladder Self support ladder Trolley platform ladder Step ladder Aluminium Scaffolding.from Alba Aluminium Ladders Hyderabad,India.